ISO 14001 (Environmental Management Systems) certification is aligned with environmental protection and applicable to all businesses. ISO 14001 Certification demonstrates control of an organisation’s environmental management systems and promotes corporate environmental responsibility. After attaining ISO 14001 certification, organisations can include URS and UKAS logos in their promotional activities. ISO 14001:2015 sets out the criteria for an environmental management system and can be certified to. ISO 14001 does not state requirements for environmental performance, but maps out a framework that a company or organization can follow to set up an effective environmental management system. ISO 14001 can be used by any organization regardless of its activity or sector. Using ISO 14001:2015 can provide assurance to company management and employees as well as external stakeholders that environmental impact is being measured and improved. The new version of ISO 14001:2015 includes a requirement to understand the organization’s context in order to better manage risk, with more emphasis made on leaders within organizations to promote environmental management. In addition there will be a shift towards improving environmental performance rather than improving the management system. A full ISO information sheet can be viewed here. 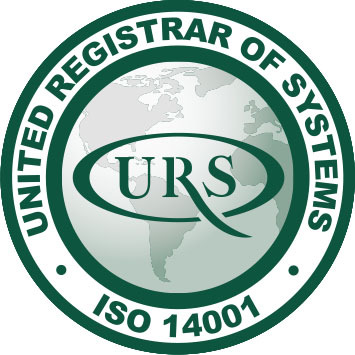 URS Singapore has been awarded SAC-Accreditation for ISO 14001 in Singapore. The scopes are wide and extensive. For a full listing, click here.